It's Not Work, It's Gardening! : Pond gold: fish! 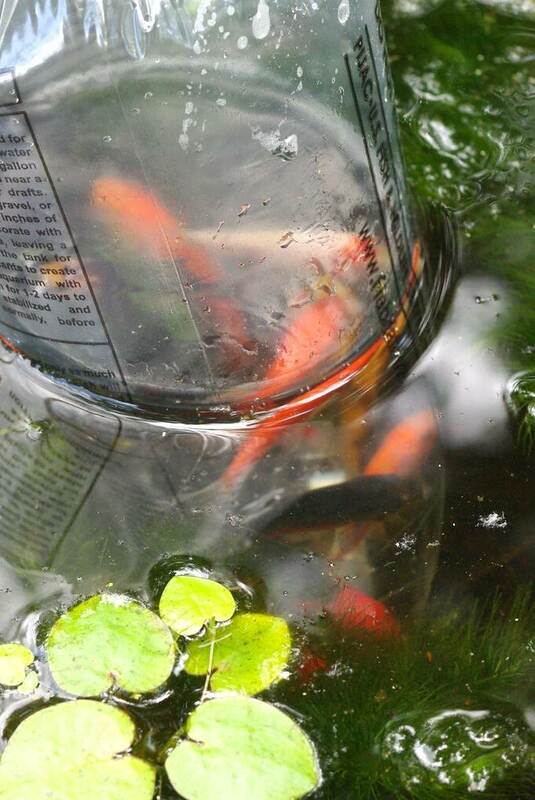 The pond got its new inhabitants: goldfish! So I went to the local Petsmart and picked out 15 of the expensive "large" goldfish. They're expensive only when compared to the small (tiny!) 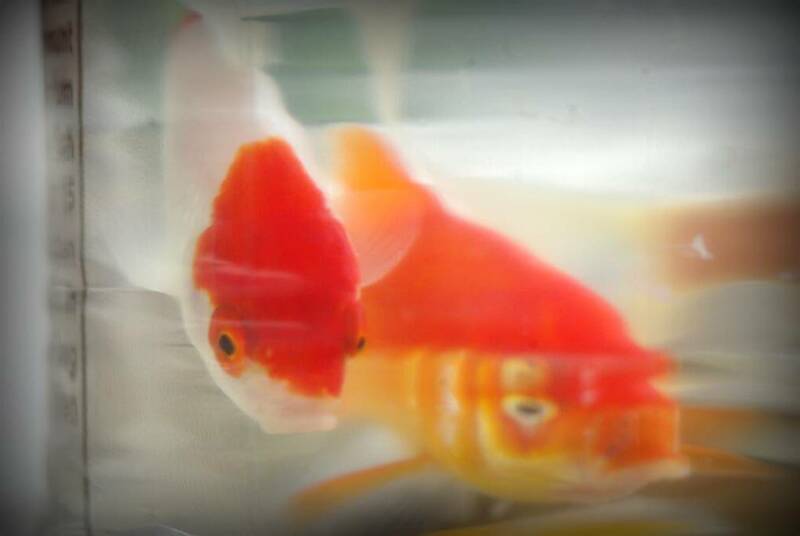 goldfish, which were 13 cents each. The "large" ones were more than twice the price, at 27 cents. I gritted my teeth and paid the $4 total price for the bunch, and brought home a baggie of mixed colors. 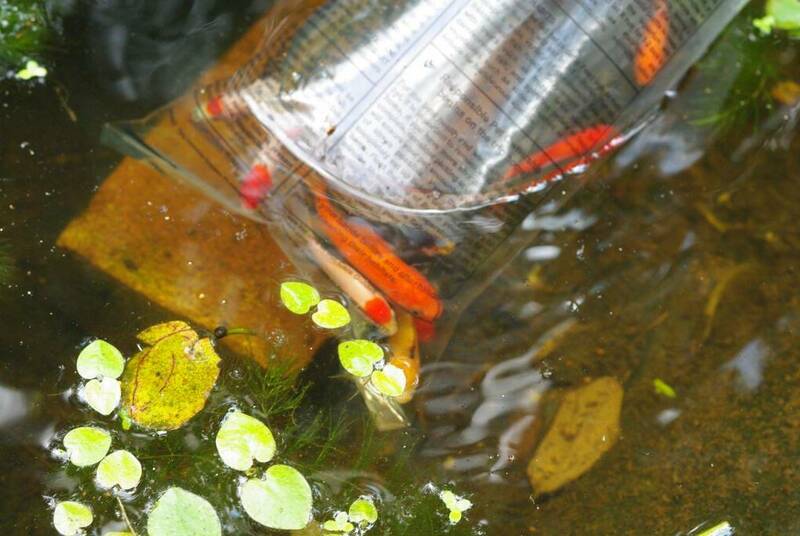 They then spent 10 minute or so floating in the pond to let the temperature of the water in the bag match that of the pond -- don't want to send the new inhabitants into shock! I then carefully released them, and they immediately disappeared. Completely invisible. I saw a couple of the orange ones once or twice, but they all pretty much just hid. I've read that new fish do this though, and they should become less shy after a few days. Using the rule of thumb that you need 20 gallons of water for each fish, this pond should easily support 40 fish, as the pond's capacity is at least 800 gallons. So why only 15? First, I didn't want to add too many fish at once. Too much fish, um, "activity" at once could upset the balance and I could get a terrific algae bloom. 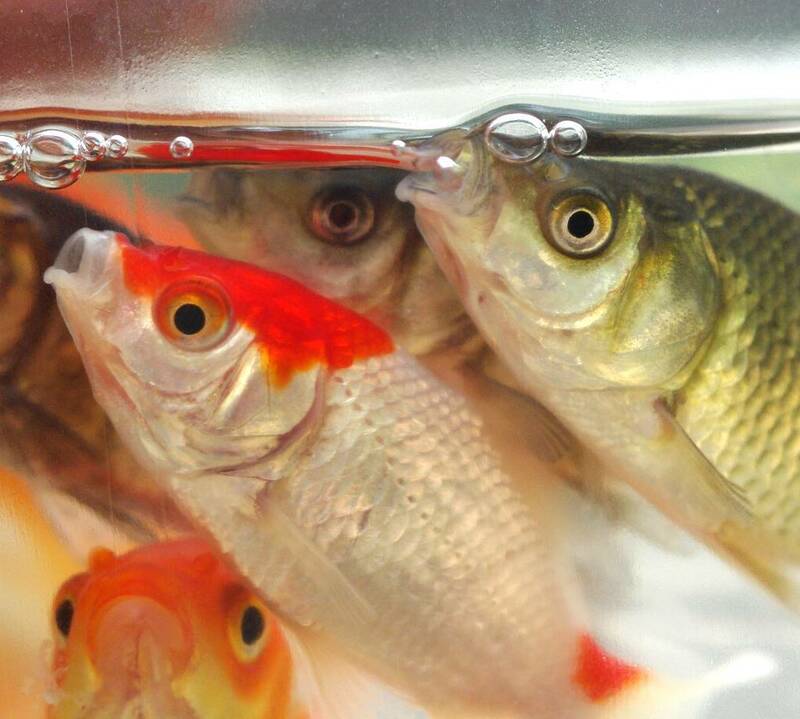 More importantly though, I'm hoping these fish will someday start breeding (maybe this year?) and will increase the population without my assistance. For now, I'm just glad to get these into the water to give me another reason to just stand out by the pond and gaze into the somewhat murky depths. Maybe I'll even see an occasional flash of orange out there. YAY! 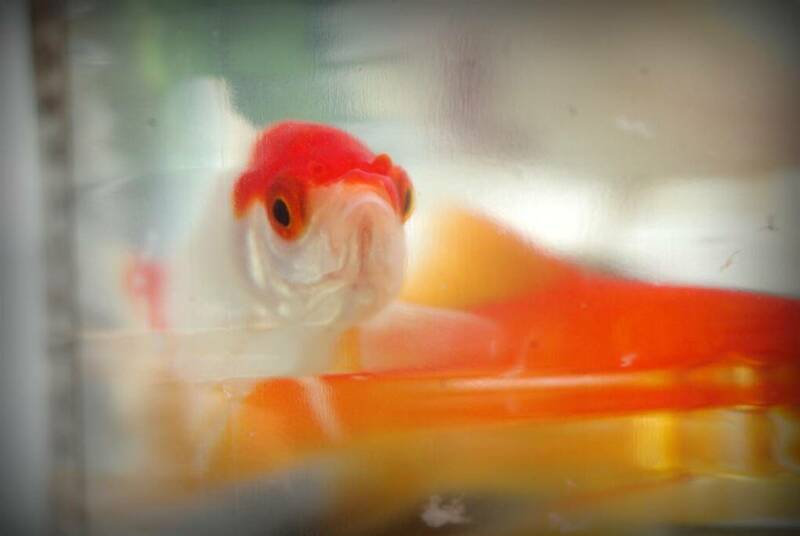 Goldfish. You chose some nice ones. Like the diversity. No mosquito larvae problems with these guys aboard. I know they eat some of the pond plants, but do they also eat algae? If so, that would help with the algae problem. 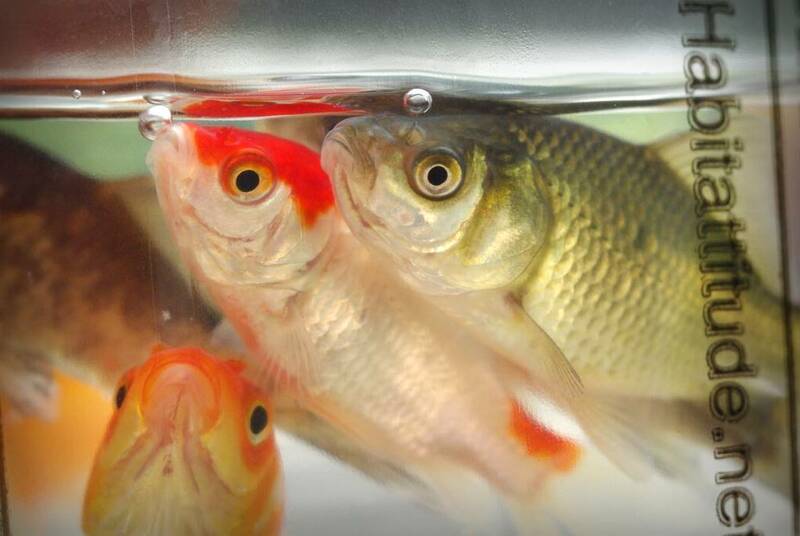 Your pond is a great addition. Yay! I've been waiting for this. So glad you know about the 20 gallon per goldfish rule. They look awesome. Love those flashes of color in a pond. Cute!!! 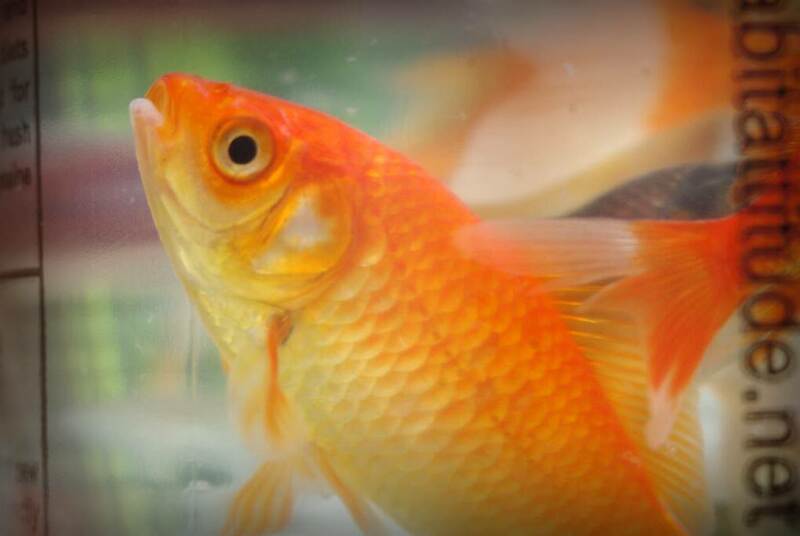 My goldfish breed - I only had 3 of them, I now have about 20. So your 15 could potentially make loooooots of babies! The babies are too beautiful! Little "Minnie-Mees" of the big ones. I'll try to take some photos of mine to show you.